All transactions are safe and secure with a reliable history in online purchasing behind each of our associates. 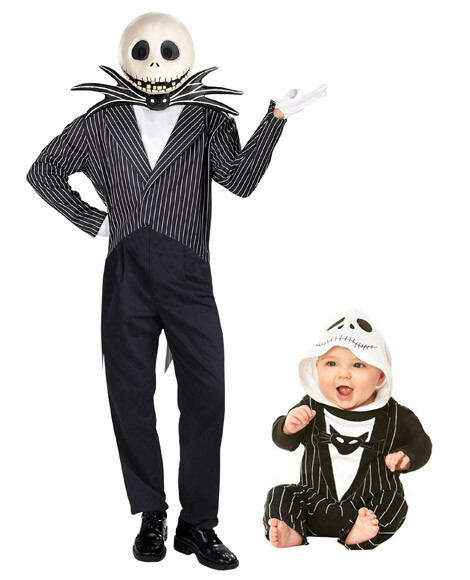 Buy the Jack Skellington Costume and Masks to own Nightmare Before Christmas clothing and merchandise. Pretend you're the Pumpkin King in this Jack Skellington Nightmare Before Christmas costume. The outfit includes Jack's jacket, ascot, distinctive bow tie, and character mask. (Pants, gloves, and shoes NOT included.) The jacket is available in a variety of sizes, including Teen, Adult, and Adult Plus. The Jack Skellington mask may need to be purchased separately, depending on the costume you choose. You'll be well prepared to battle Oogie Boogie when you're wearing this disguise. Pair it with Sally (below) for a great couples costume. In addition to the Jack Skellington Costume and Masks above, browse the Nightmare Before Christmas Clothing Gallery for more apparel like men's and women's clothes, kids shirts or hoodies.